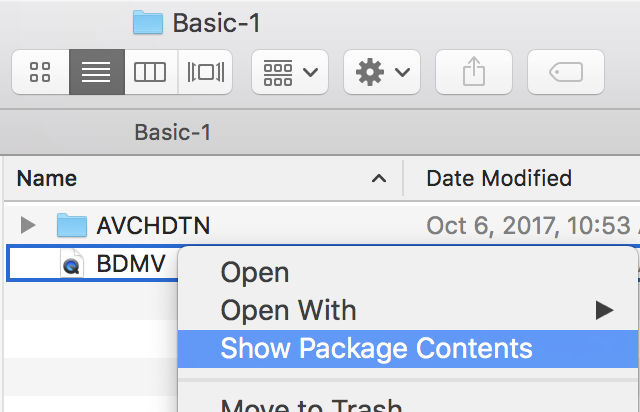 Right-click (Control+click) on the BDMV folder and choose “Show Package Contents” to reveal the STREAM folder. 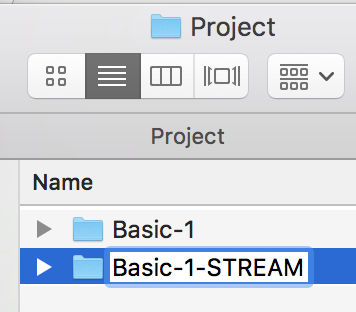 Select the STREAM folder and copy it (Control+C). 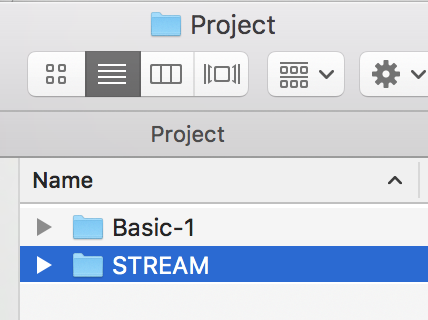 Navigate to your project folder and paste a copy of the STREAM folder (Control+V). 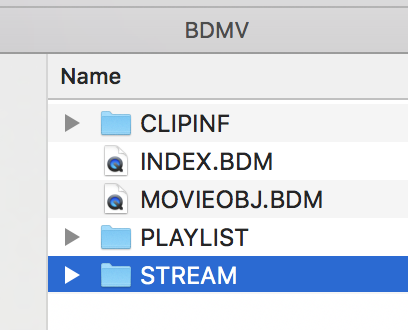 Rename the STREAM folder with the name of the AVCHD folder followed by STREAM. 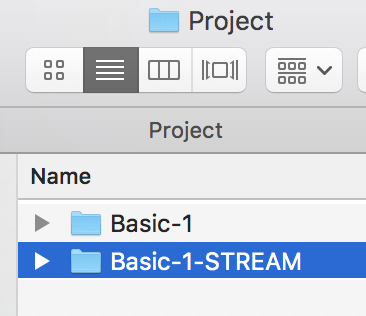 In this example, the original folder is Basic-1, and the new STREAM folder is Basic-1-STREAM. 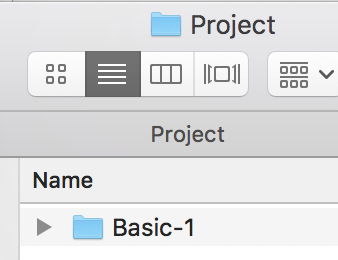 Import your new STREAM folder into Premiere. Both the video and sound should play for each file.